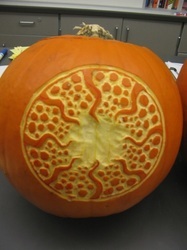 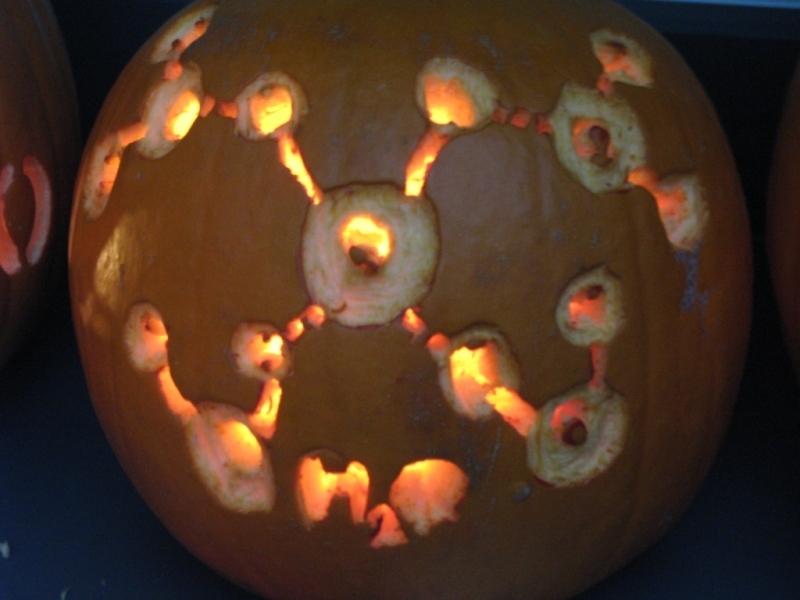 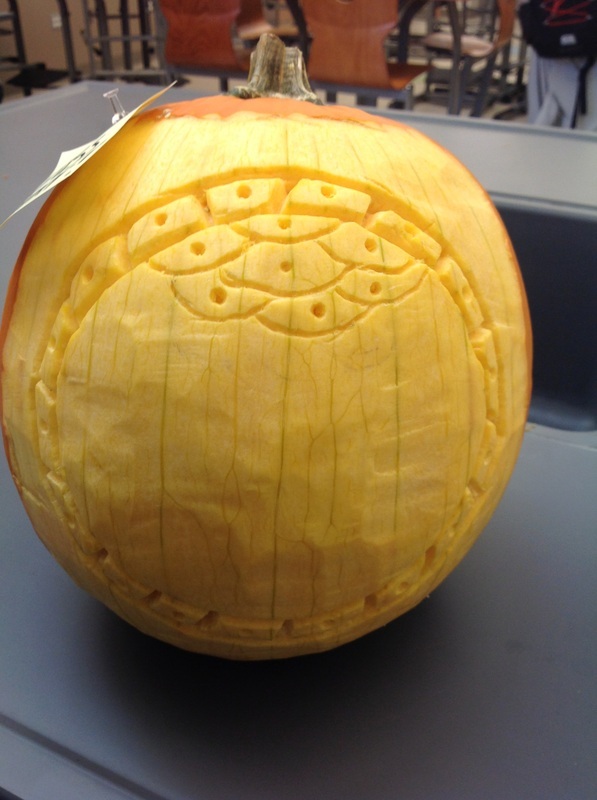 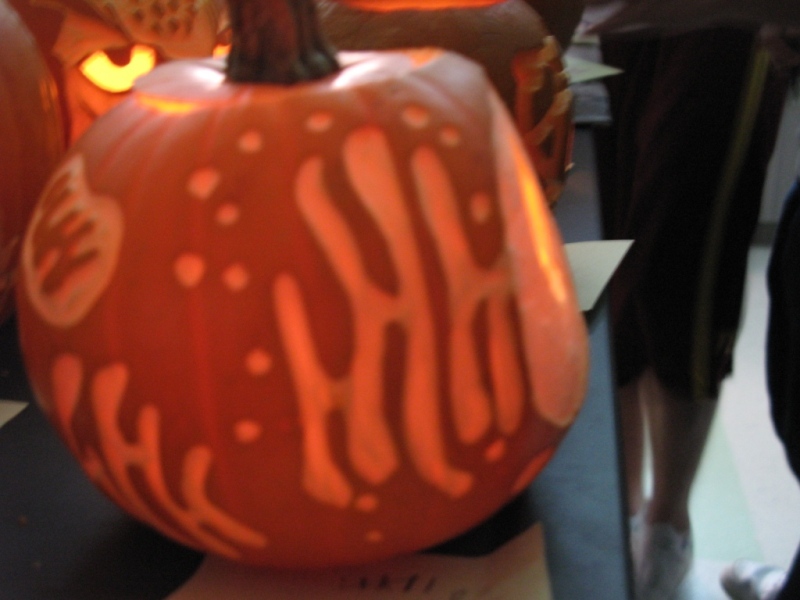 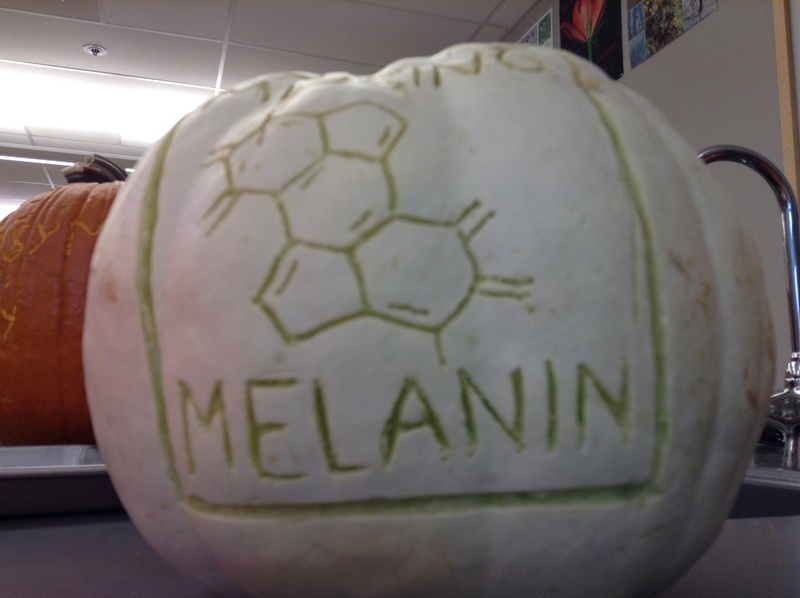 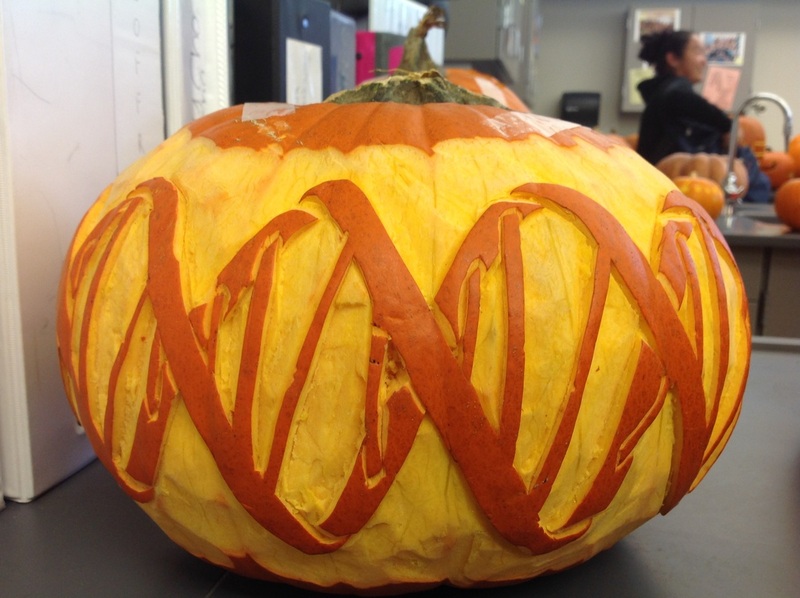 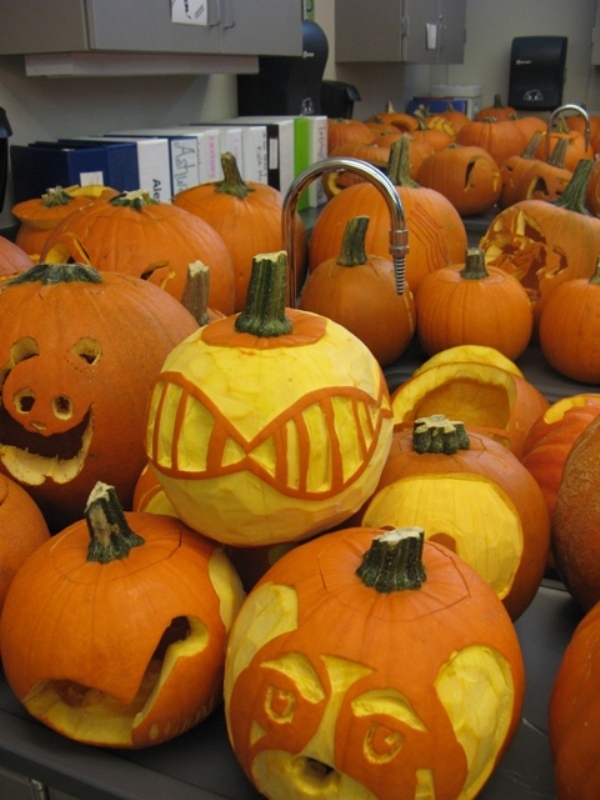 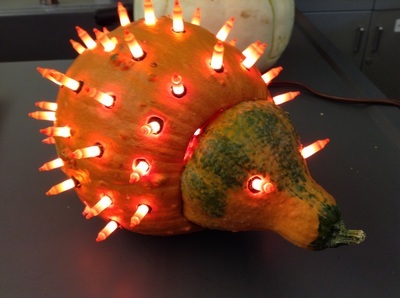 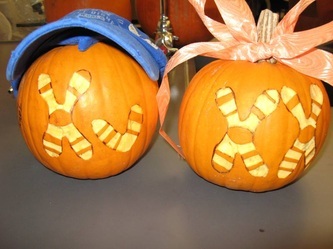 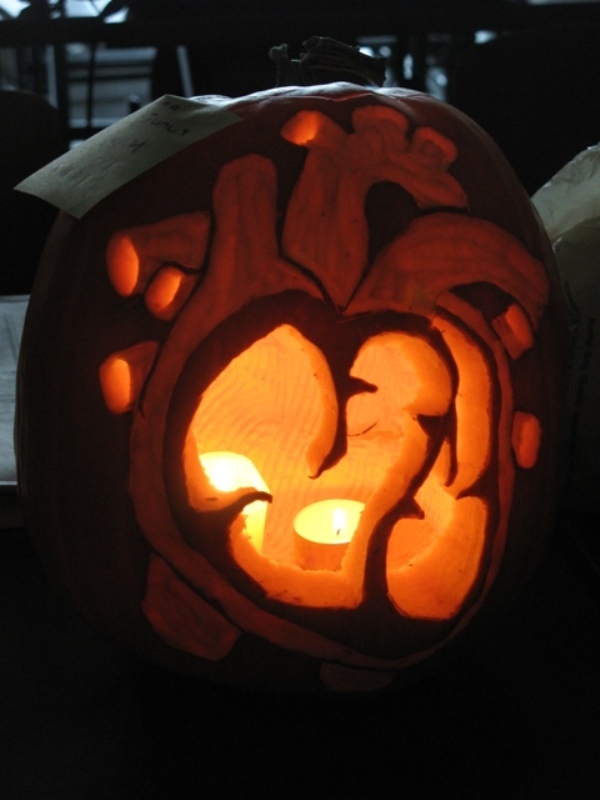 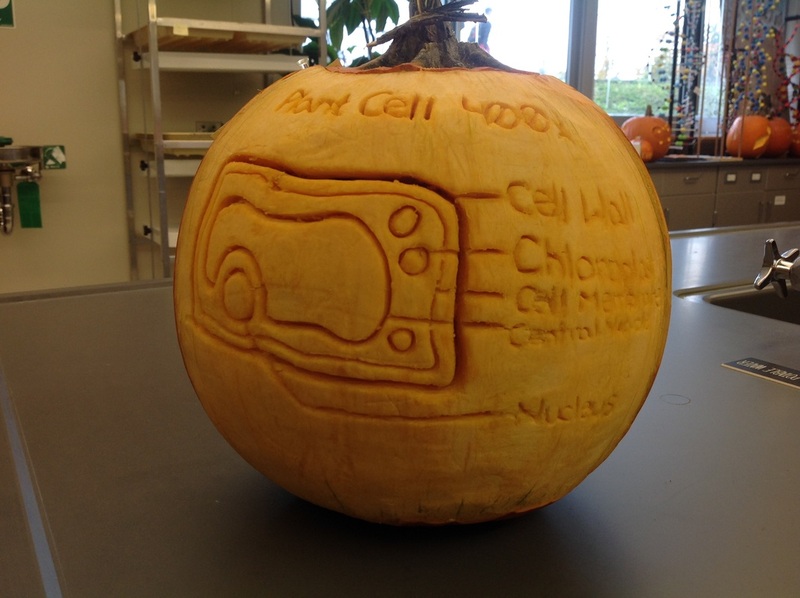 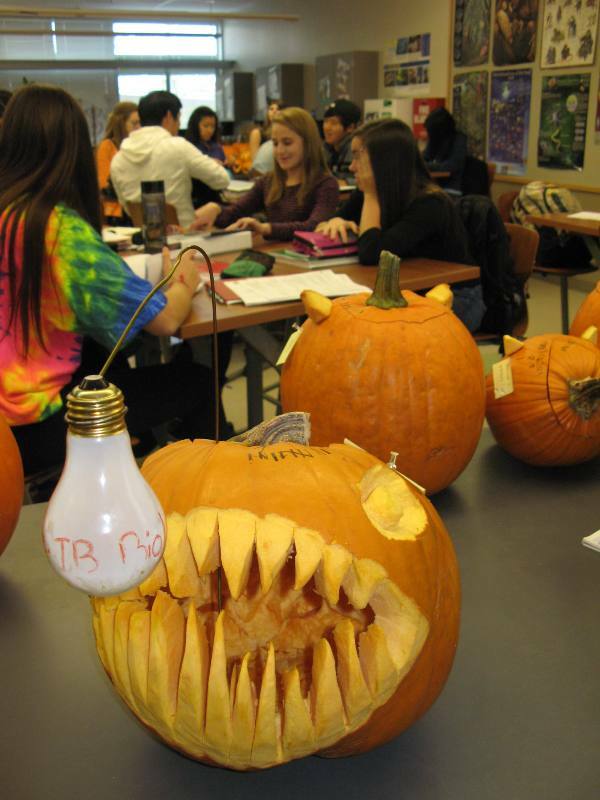 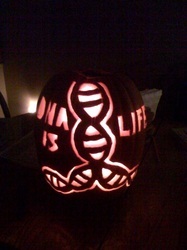 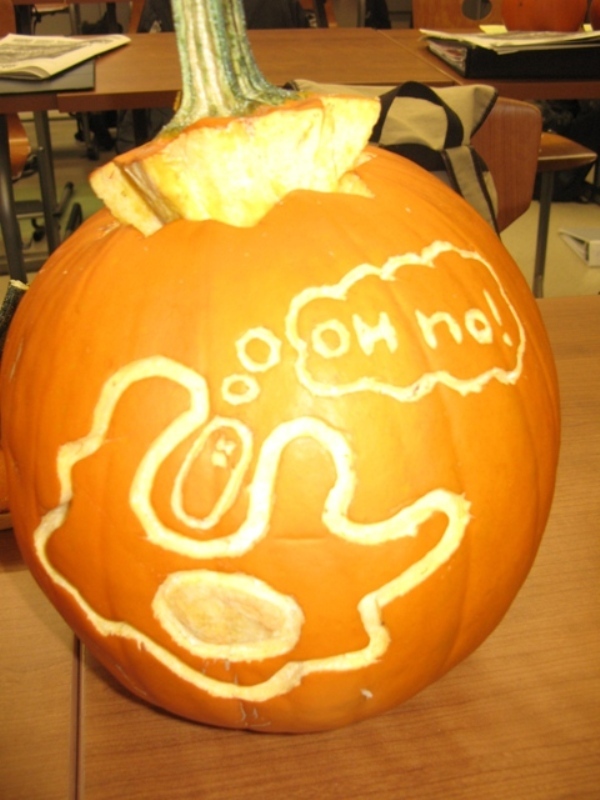 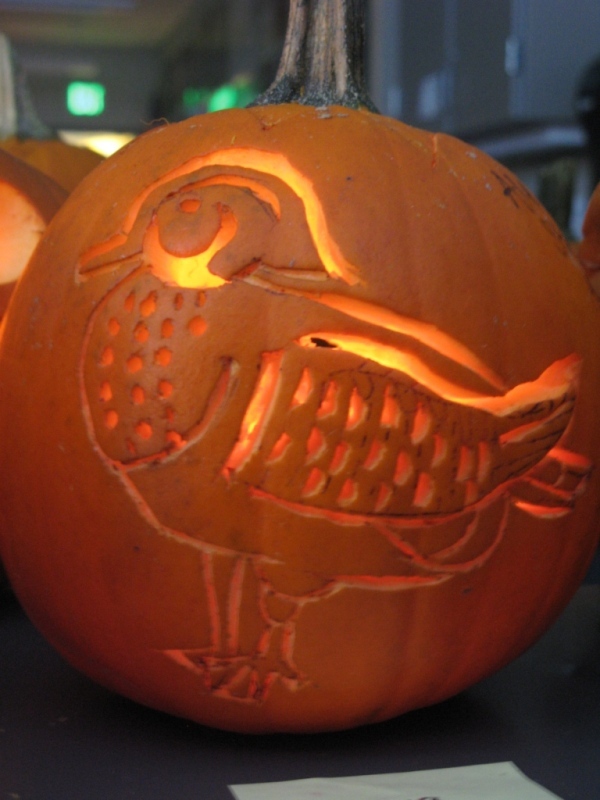 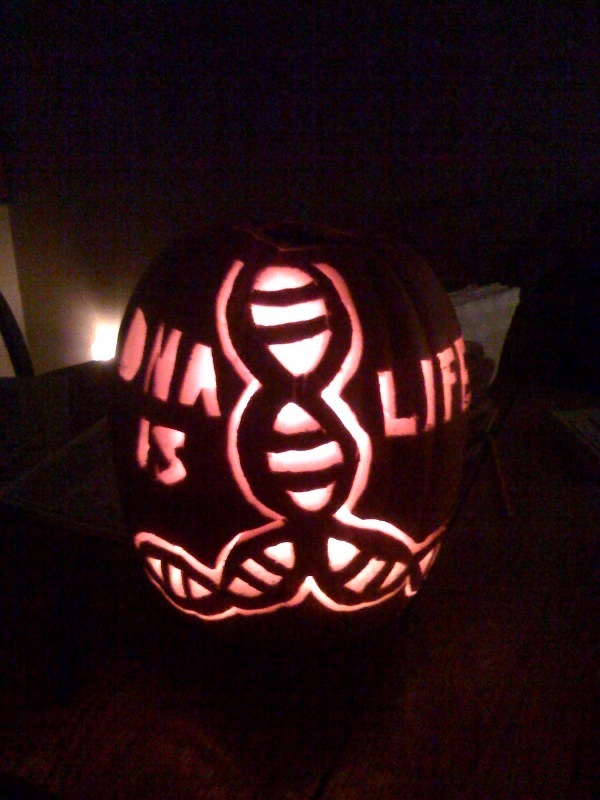 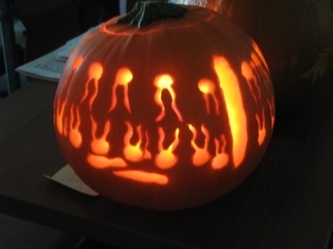 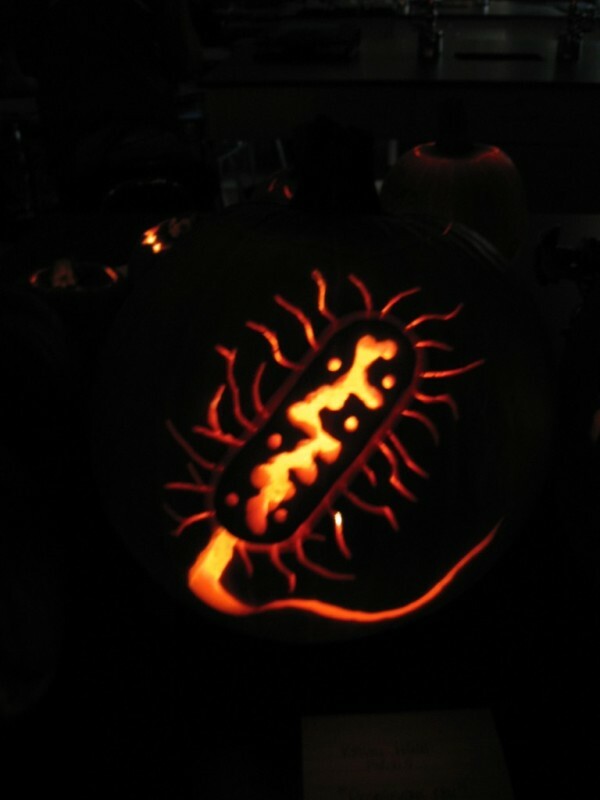 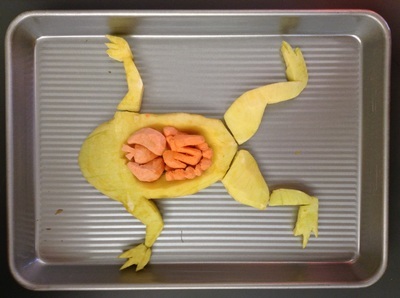 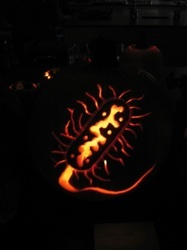 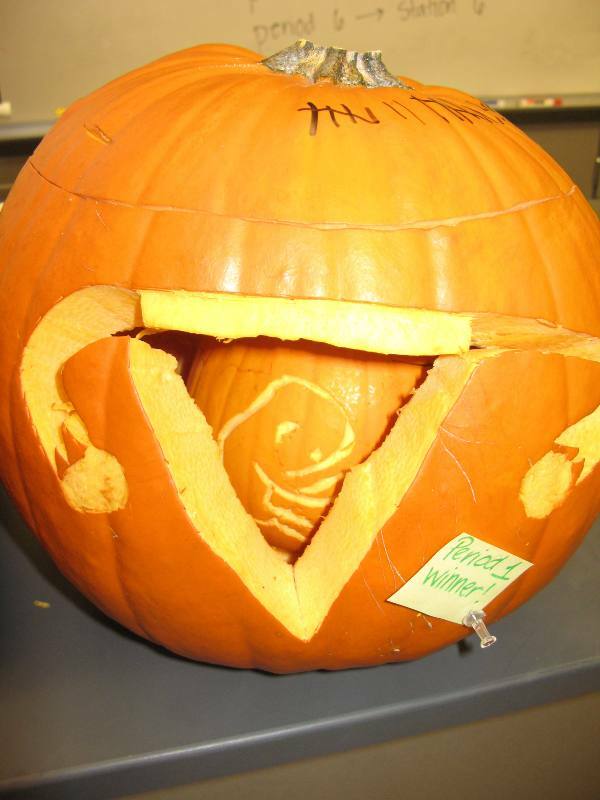 Each October, the Skyline IB Biology students have a biology themed pumpkin carving contest. 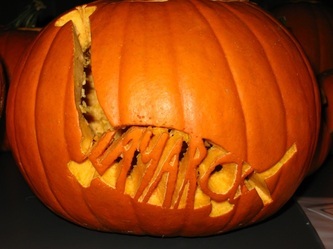 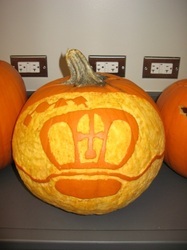 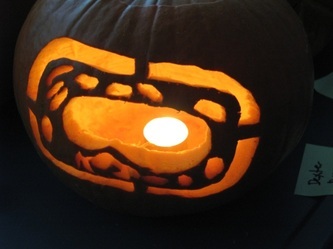 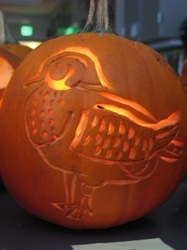 The pumpkin carving is really just for fun. Students carve out side of class time, either at home or during a meeting of our school biology club. The pumpkins are brought in to school on Halloween and must be taken home that afternoon. 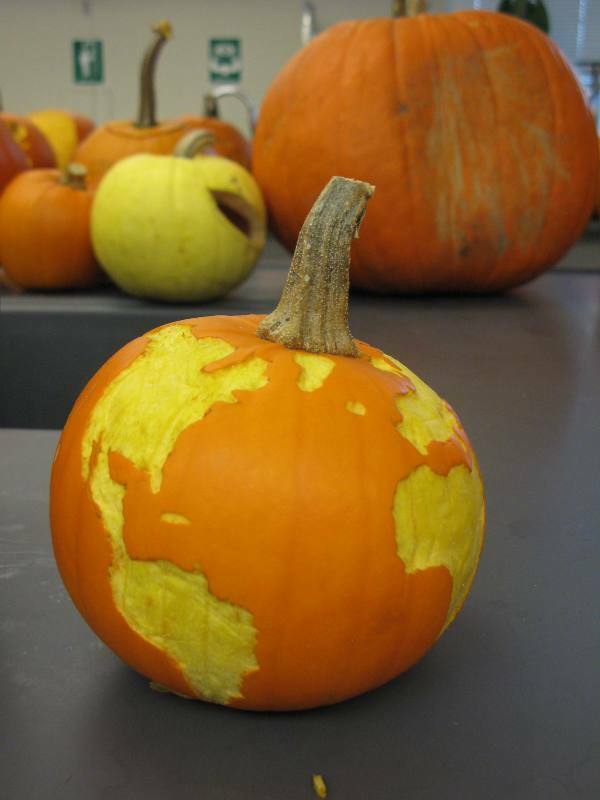 If pumpkins are left overnight, the students don't get the "Above and Beyond" points. 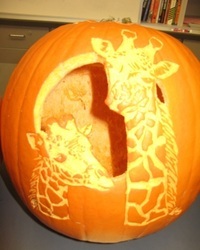 I don't want to have a room of rotting pumpkins! 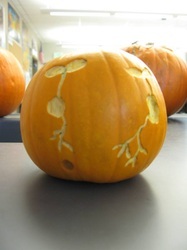 Each student has a limit of two pumpkins. 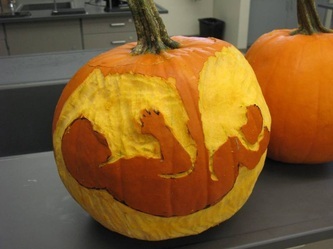 They must be carved, not drawn or painted. 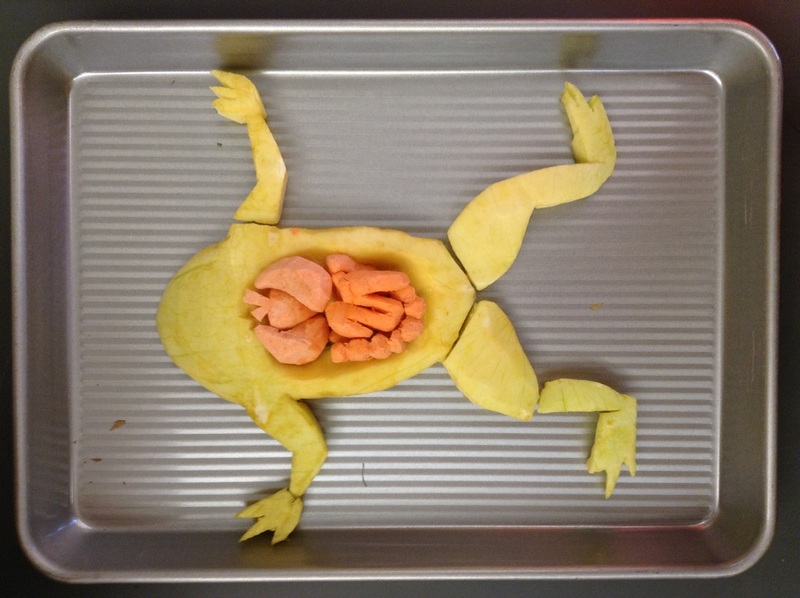 Of course, there must be a clear biology theme. Each class votes on a class favorite, which gets the carver 2x the A&B points. 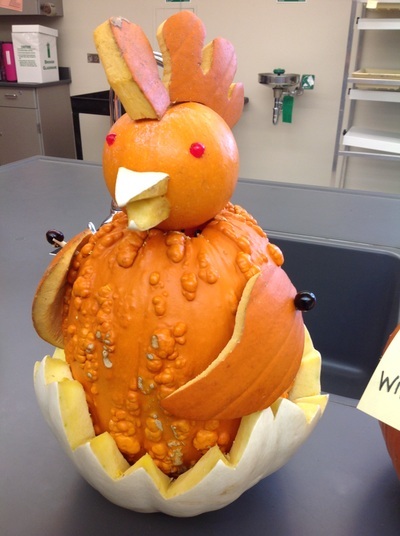 Then, each class winner competes for the "staff favorite" prize. 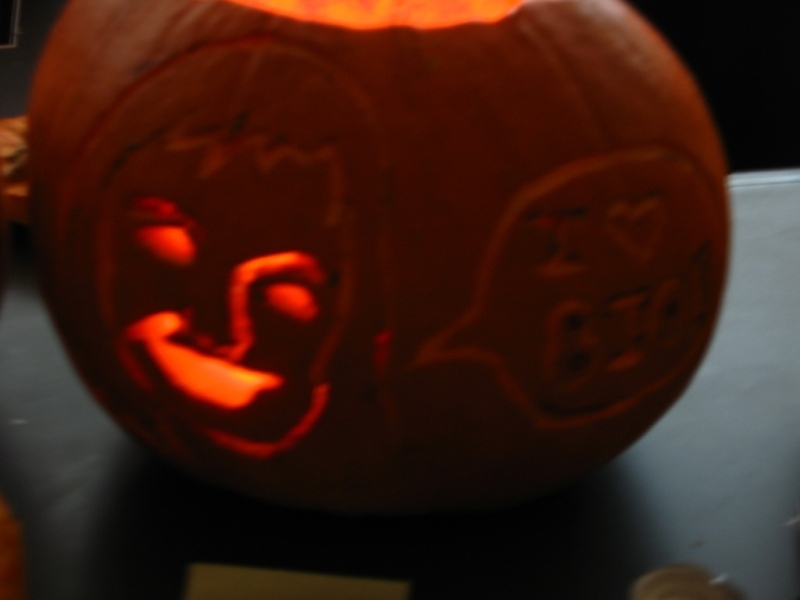 It's pretty fun; pretty low key. 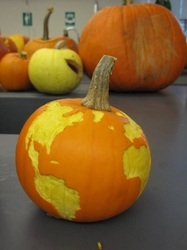 We spend maybe 15 minutes of class time on Halloween day looking at and voting on the pumpkins. 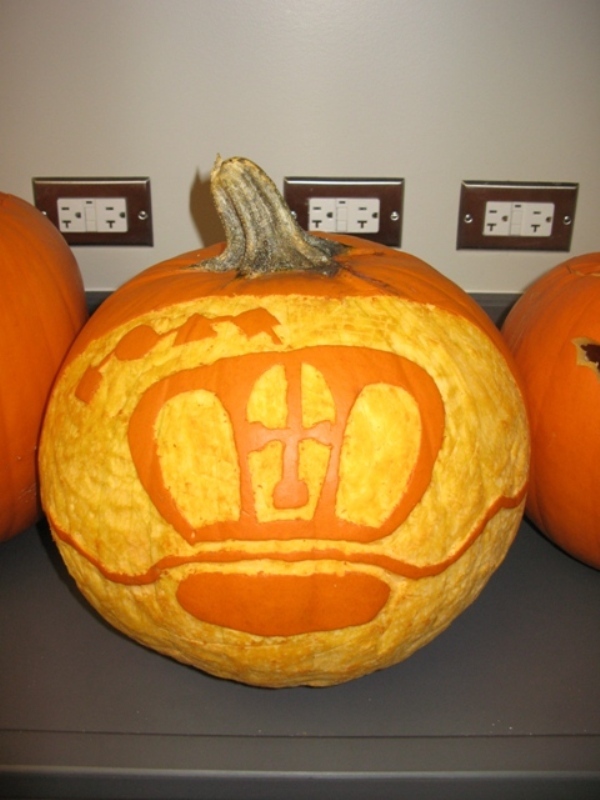 Here are some examples of great pumpkins from the past.